Commenting on this exciting sponsorship announcement, Andrew Wakelin, Managing Director at SIG Roofing, said: “We are passionate about supporting the roofing industry and the desire to drive innovation and quality workmanship is at the very heart of our business. 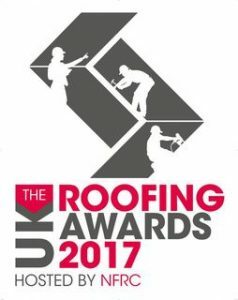 That’s why we are so committed to the work that the NFRC is doing with The UK Roofing Awards, and we are proud to once again be the headline sponsor.” The UK Roofing Awards is now in its 11th consecutive year, with the grand final set to take place on Friday 19th May 2017 at Park Plaza, Westminster Bridge, London, where winners will be announced and trophies presented at a special luncheon. The event will be hosted by BBC Breakfast Presenter, Steph McGovern, and the voice of the National Lottery, Alan Dedicote. The UK Roofing Awards covers the full spectrum of roofing disciplines, and runs from October to January every year. Open to all who are involved in roofing, entrants can submit projects into various categories, and entries are judged on criteria that includes: degree of difficulty, aesthetics, problem-solving, health and safety, workmanship and environmental issues.